OnePlus is all set to launch its first smartphone with under-display fingerprint scanner, OnePlus 6T on 29th October at an event in New York followed by a separate event in India on 30th October. Today, OnePlus announces pop-ups in 9 cities across 12 locations in India on 2nd November 2018. Users can visit the pop up to experience the all-new OnePlus 6T, Engage with OnePlus team and also purchase the OnePlus 6T with exclusive goodies. Early-bird attendees at the pop-ups will receive several exclusive OnePlus goodies including OnePlus 6T phone covers and bumpers, OnePlus Sketchbook, OnePlus Never Settle T-shirts and OnePlus tote bags. OnePlus has also announced its partnership with Reliance Digital to experience and purchase OnePlus products across cities in India. By visiting Reliance Digital customers can experience and buy the OnePlus products at the same price as online. Additionally, customers can also avail offers run by Reliance Digital stores. In India, the OnePlus 6T pop-ups will land from 11:00 am to 10:00 pm IST on 2nd November in 13 locations across 9 cities including Bangalore, Mumbai, Pune, Kolkata, Delhi, Chennai, Hyderabad, Ahmedabad and Jaipur. Globally, these pop-ups will be held in Europe, North America, India and China in premium locations across 32 key cities in total. For more information, check out https://www.oneplus.in/6t-popups. 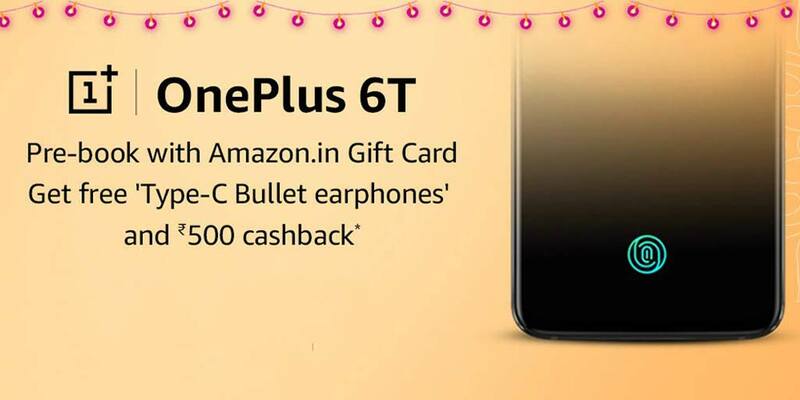 Pre-orders for OnePlus 6T has already begun on Amazon.in and buyers will receive a pair of OnePlus Type-C Bullets earphones, worth ₹1,490. 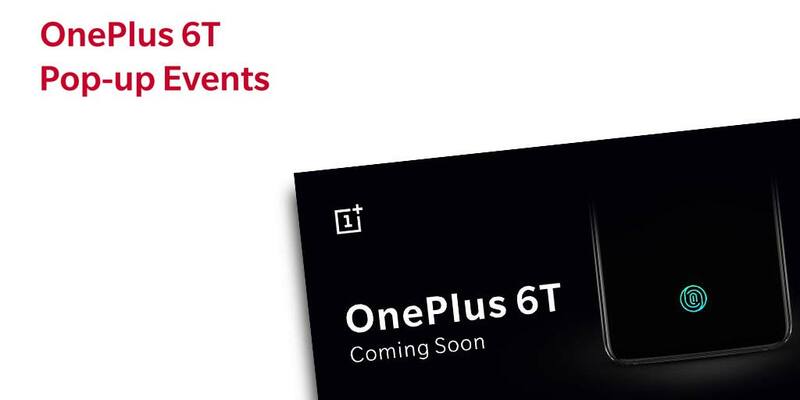 Additionally buyers will also receive ₹500 in the form of Amazon Pay Balance on completion of the purchase of the OnePlus 6T.